My mouth is watering already as the approaching winter excites me inside out just the moment I could feel the fragrance of chocolate in my cozy bed. With arriving winters comes fun campfire and snuggle cuddling with your BFFs and eating s’mores and marshmallows. OMG… Marshmallows, who doesn’t love them! And guess what, you can make all those super delicious marshmallow dishes all by yourself and that’s where the role of food art comes! What if all the efforts that you took to make your dish taste yummy don’t draw attention and compliments for you just because it doesn’t look that good? Ouch; it’s annoying, isn’t it? 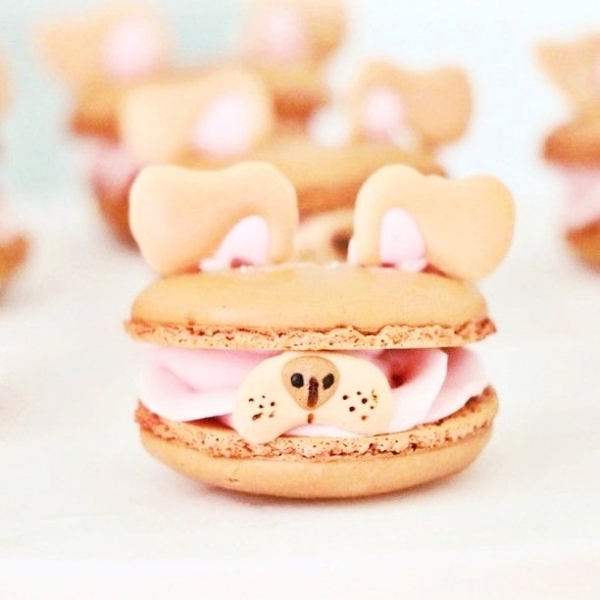 Food presentation of these Cute and Tasty Marshmallow Crafts will make your food item appetizing by eyes while your hands will do the magic on your tongue. Why not give them a unique and distinct shape and style to heighten the taste and make it more tempting and irresistible. 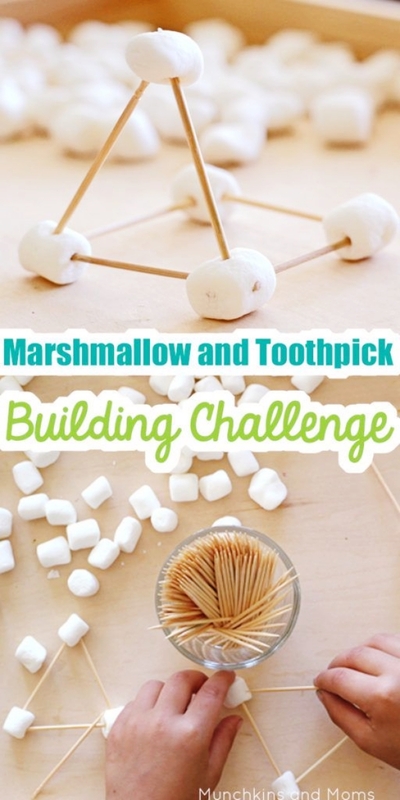 So, grab on some marshmallows and get going while you get some awesome craft ideas. Give your marshmallows the shape of a Dracula denture. All you need is some chocolate chip cookie dough, vanilla frosting, mini marshmallows, red food coloring and silver almonds. Bake the cough while you add some colors to the frosting. 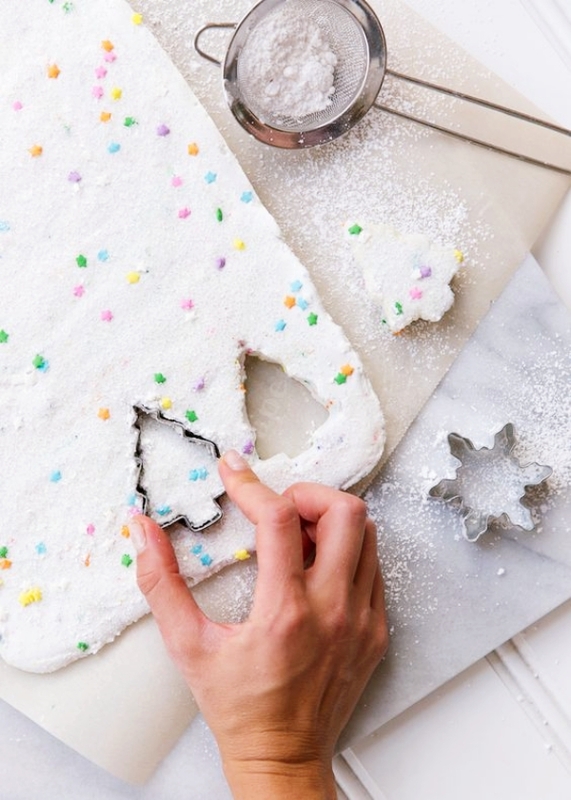 Spread this frosting on each half of the cookie and place the mini-marshmallows in between. Add those almonds for the fangs. For this you will be requiring powdered gelatin, cold water, vanilla extracts, sugar and raspberry or strawberry flavoring. Mix the gelatin with cold water and let it sit. Mix sugar in water and let it heat till the sugar melts followed by mixing of vanilla extracts. Add this mixture to the gelatin and add some food coloring. 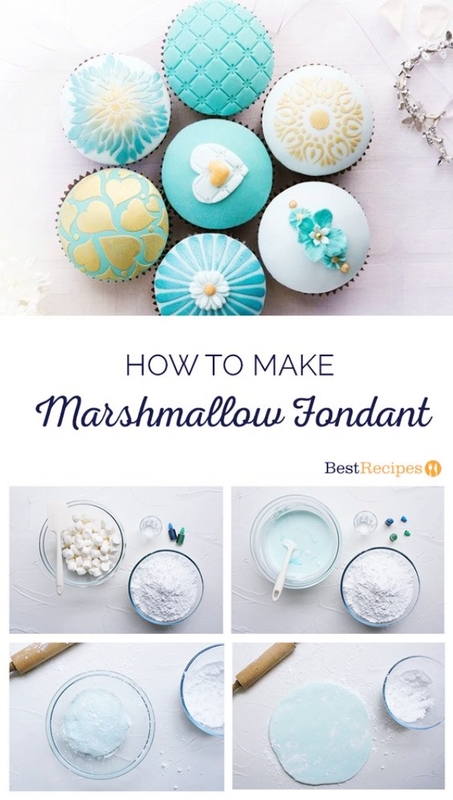 Place the marshmallow onto a piping bag and pour it into a parchment paper. Allow the marsh mallows to stiffen. Prepare the filling of the marshmallow with the pink coloring and pipe them into the halves of the macaron. 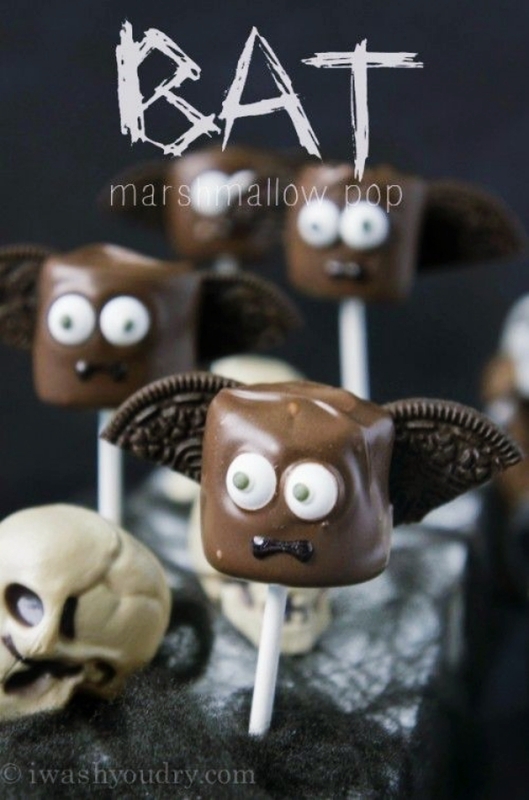 You need marshmallow cubes, pretzel sticks, candy corn, mini-chocolate chips and toothpicks. 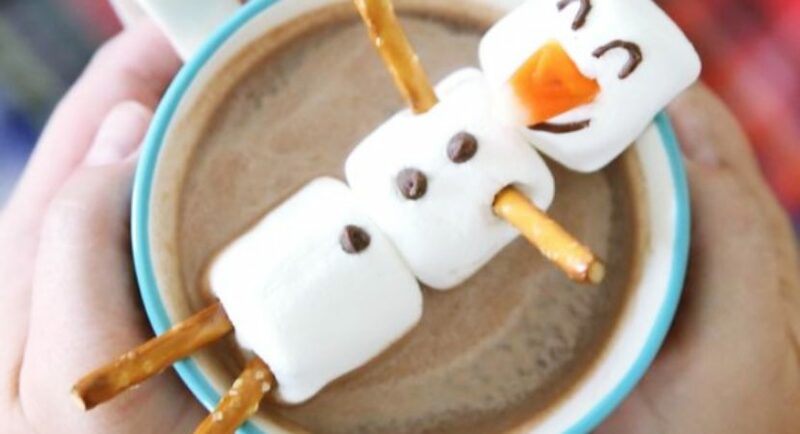 Slide three marshmallows into a toothpick to make snowman and use some to poke holes for the arms, legs and nose. Then push some pretzels and a candy corn in the snowman. 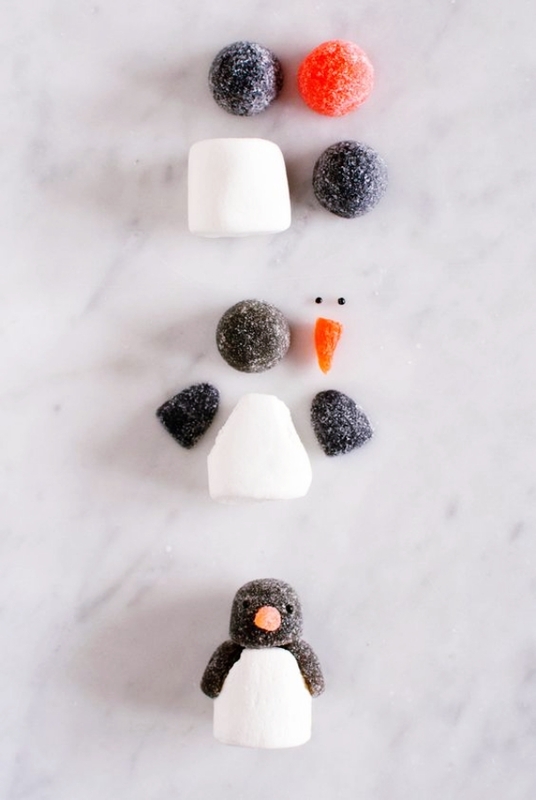 Make some buttons with the chocolate chips and use some melted chocolate to draw the eyes and mouth of the snowman. Get marsh mellows, chocolate chips or chocolate melting wafers, some candy melts and lollipop sticks. Tread the lollipop sticks through the marsh mallows. Melt some chocolate wafers on a shallow pan. Wrap the marshmallows in this melted chocolate and let them dry. Once they are dried, use some colored chocolate melts to decorate the pops by drizzling them over these chocolate pops. You will need only marshmallows, water, corn syrup and food colors. Microwave the marshmallows to melt and stir in the corn syrup for consistency. Separate them in different bowls to add colors. You need to get some powdered gelatin and some cold water. Sugar to add, vanilla bean pod, pink & yellow food colors, cornstarch, lollipop sticks and hard candy. Prepare marshmallow mixture and add yellow & pink coloring to two parts of the marshmallow mixture and fill them in the piping bag. Make a flower shaped mould with cooking spray, and start making flowers. Combine cornstarch and sugar to unmould marshmallows and stick them onto a lollipop stick and arrange them. Use the mini marshmallows, powdered sugar, vegetable shortening, and vanilla extract. Melt the marshmallows while adding water to it. Add some colors to the melted marshmallows. Add the powdered sugar to it and mix them well. Knead it well to get the dough. Rub a thin coat of shortening over the fondant. Plastic wrap and let it sit for days. Start decorating. You will need sugar, gelatin, cold water and vanilla bean pod. Let the gelatin set on cold water while you melt the sugar. Add them up while adding the vanilla bean pods. Place the marshmallow in a piping bag and make snowflakes on the parchment paper and allow it to stiffen. Dust them with cornstarch and there you go. Get your hands on marshmallows and pretzels. It is quite simple and easy. Just keep on inserting a pretzel stem in the marshmallow and start creating exciting designs. Cubes, stems or whatever you want to and the best part is they are edible too. 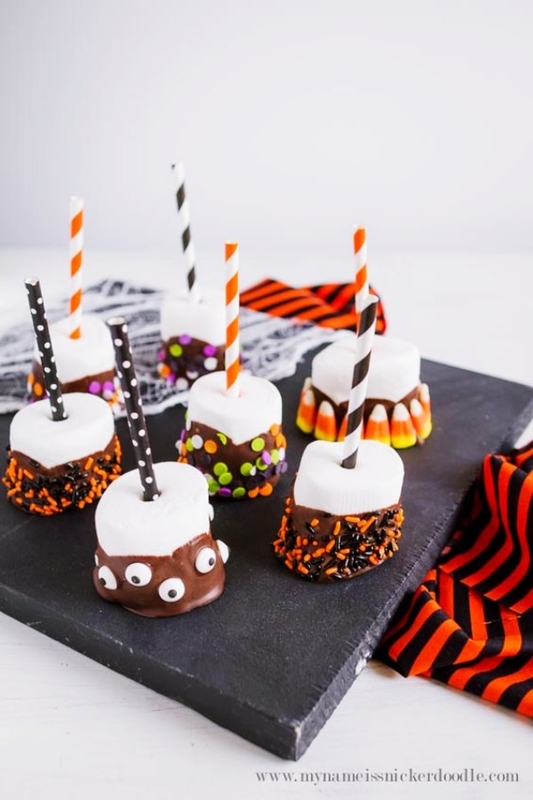 Well, wake up your inner chef and creative geek and try on these Cute and Tasty Marshmallow Crafts that no one can resist.